Betty Jones is shown examining an X-ray of a portrait by artist John Singleton Copley. In 1966, Venice suffered its worst flood to date, damaging millions of dollars of artwork. Elizabeth Jones, then head conservator of the Fogg Museum at Harvard University, dropped everything to travel to Italy and help, said Seymour Slive, a renowned art historian and former director of the Harvard Art Museums. In a 1976 Globe interview, Ms. Jones discussed why she returned to Venice so many times, including the summers of 1969, 1971, and 1972. The reason was disarmingly simple. “Somebody had to do it,” she said. Ms. Jones, who left the Fogg after 22 years to become conservator of paintings at the Museum of Fine Arts, Boston, in 1975, died of respiratory failure May 20 in her Woodbury, Conn., home. She was 94. Known to friends and colleagues as Betty, Ms. Jones was a “standard bearer for modern conservation,” said Marjorie Cohn, a former colleague. While restoration generally aims to make artwork look better, conservation aims to keep it true to its origins. 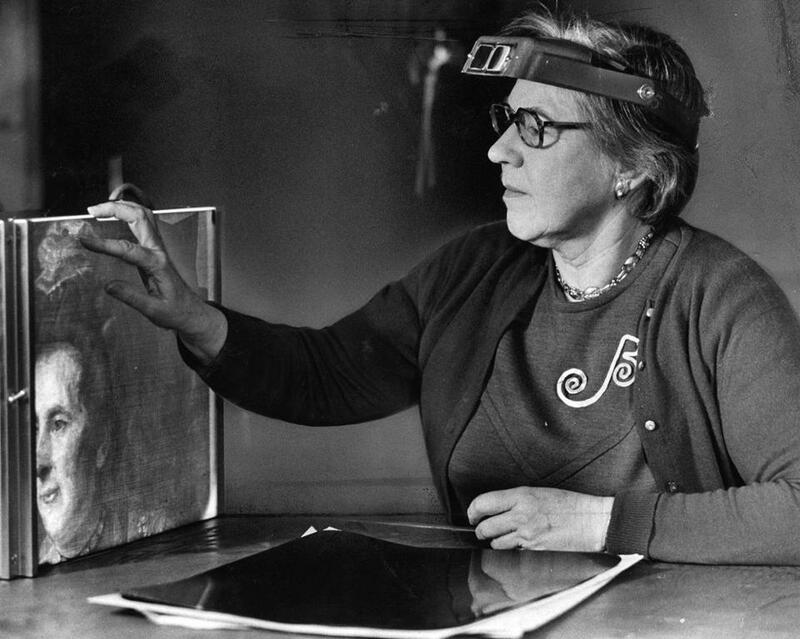 In addition to microscopes, Ms. Jones used X-ray technology, ultraviolet light, and spectrometers to study paintings and trace the evolution of each artist’s work. She often worked with already-restored paintings until they regained authenticity. He added that she was “not afraid to show bare wood” when paint had been lost over time. “She wanted to represent the artist’s actual intention, as opposed to making it look beautiful when you walked by,” he said. Ms. Jones told the Globe about cleaning a portrait, by John Singleton Copley, of prominent Bostonians Isaac and Jemima Winslow. The X-ray process, she said, showed that Mrs. Winslow’s dress had been repainted, and her hairdo changed. “It was obviously done by another artist about 10 years later, probably because styles had changed, and Mrs. Winslow didn’t like the original,” Ms. Jones said. In the same interview she described the painstaking process of conserving a Renoir painting that originally was drawn on two layers of wood-pulp paper. The paper, she said, had become acidic. In 1988, when Harvard displayed murals by abstract expressionist Mark Rothko, Ms. Jones talked about how the choices the artist made had led to colors fading more than a quarter century after the paintings were completed. In an interview with the Associated Press, she recalled a conversation she and Rothko had in the late 1960s. Elizabeth H. Jones was born in 1918 in Waterbury, Conn. She attended St. Margaret’s School in Waterbury, which is now known as Chase Collegiate Private School. In 1940, she graduated from Vassar College with a bachelor’s degree in fine arts. With the intention of becoming a painter, she studied for two years at the Art Students League in New York City. During World War II, she worked in drafting at the Pratt & Whitney aircraft company in East Hartford, Conn.
After the war, Ms. Jones told the Globe, she decided she “just wasn’t cut out” to be a painter. She apprenticed with art conservation pioneer Caroline Keck in New York City while studying organic chemistry at New York University, her nephew said. Moving to Cambridge, Ms. Jones enrolled in Radcliffe College and graduated in 1948 with a master’s in fine arts. Then she joined the Fogg staff as a conservationist. For many years Ms. Jones held a lectureship in Harvard’s fine arts department. “Both students and colleagues loved her,” Slive said. Ms. Jones’s career highlights included working on historical portraits at Independence Hall in Philadelphia and the National Portrait Gallery in Washington. She prepared the large collection of paintings by Claude Monet at the MFA, wrote catalogues for many exhibitions, and wrote or cowrote numerous articles about art conservation. A service for Ms. Jones, who served as vice chairwoman of the American Institute for Conservation in the early 1960s, is planned for later this summer, her family said. Correction: A photo accompanying an earlier version of this obituary on art conservator Elizabeth Jones incorrectly identified the object in her hand. She was looking at an X-ray of a portrait by artist John Singleton Copley, not the painting itself.